Can’t go without a Salsa. 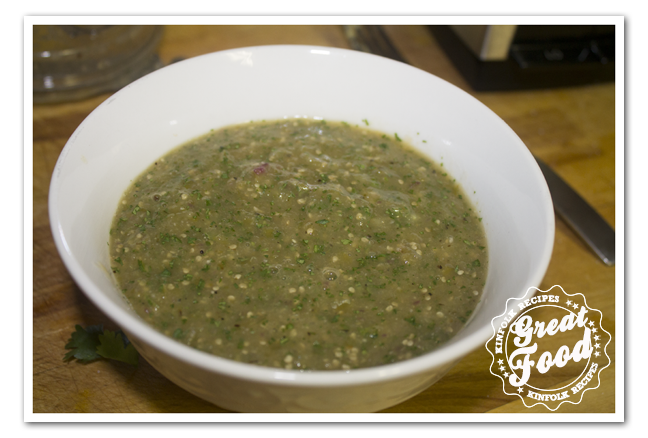 Tomatillo Salsa Verde (green) is one of my favorites for the Chipotle Burrito Bowl. Set the oven on broil. 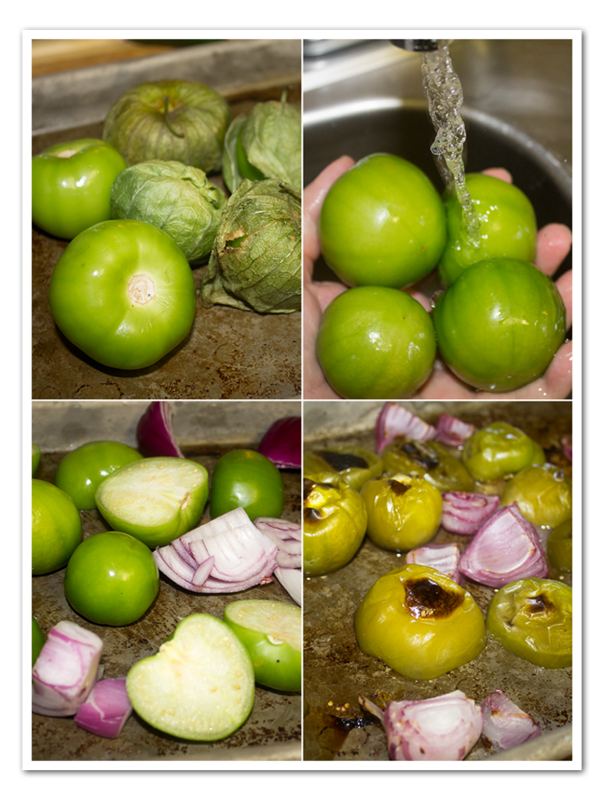 Wash and husked the tomatillos, chop in half and put on a baking sheet. Chop the onion and peel the garlic cloves. Add to the baking sheet. Broil for about 8 minutes. 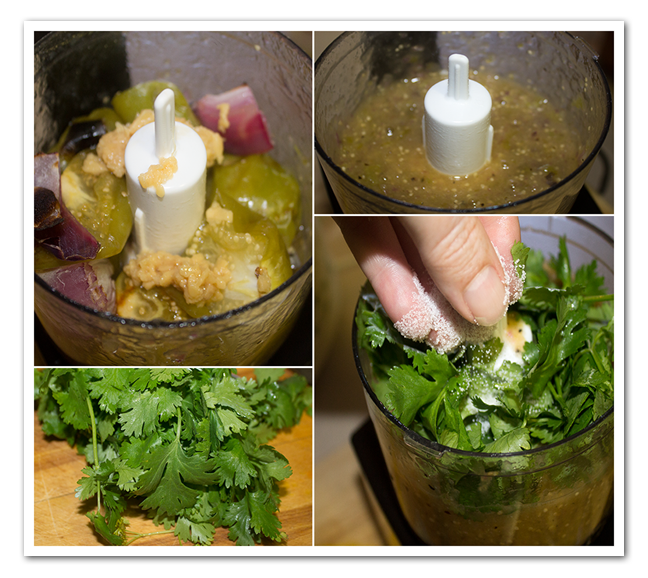 Scrape the tomatillos and any juices into a food processor or blender. Puree until thickened and smooth. Add the Cilantro to the food processor and pulse. Season with salt. Can't go without a Salsa. Tomatillo Salsa Verde is one of my favorites for Chipotle Burrito Bowl.